The most common mistake that people do with words is that many of us fail to understand their TONE. In other words, we fail to understand the CONNOTATION. And that’s why it’s important to understand connotations so that you don’t end up with the wrong or negative words in a happy situation or vice versa. Connotation: an idea or feeling which a word invokes for a person in addition to its literal or primary meaning. गुणात्मक विशेषण or qualitative adjectives describe the qualities, positive or negative, of a person or thing. This way, cunning becomes an insult while being smart is a positive quality and a thing of praise. Thus, the former has a negative connotation while the latter is a positive word. इन दोनों ही शब्दों का basic meaning होता है – something unusual. But again, there is a positive and a negative way to be unusual. 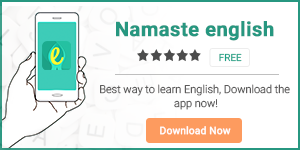 Exotic यानी अनोखा होना एक positive quality है जबकि eccentric यानी विचित्र होना is not that positive. Frugal infers that someone is not generous and is very stingy with their money whereas in the matters of money, being economical is considered a good. It is said that there is a thin line between confidence and overconfidence and that thin line is CONNOTATION. Well, that was a lil bit about connotations and their importance in the expression of words. If used correctly, the connotation is an important literary device.